Father Frost and Finnish Santa Claus - Joulupukki will hold a traditional meeting at the Russian-Finnish border and congratulate children on the coming New Year and Christmas, the regional government's press service reported. St. Petersburg (Sputnik) — After the meeting between the two Christmas characters viewers will be treated with colorful performances by creative teams from Russia and Finland. Father Frost and Joulupukki will then head to Lappeenranta, Finland, to meet with Finnish children. "On December 17, the Brusnichnoye international vehicle checkpoint will host the Christmas Without Borders campaign — the traditional meeting of New Year wizards from Russia and Finland. Father Frost and Joulupukki will greet each other, exchange gifts and congratulate children on the coming New Year and Christmas," the press service reported. 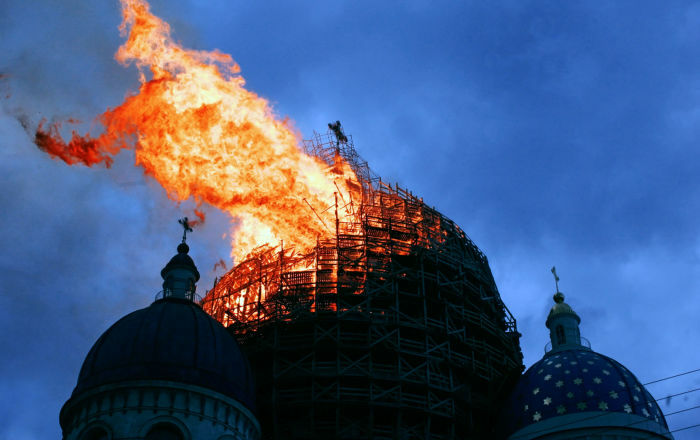 The tradition dates back to 2002, when Vyborg held Days of the Veliky Ustyug municipal district. It was then agreed to hold an annual meeting between Father Frost and Finnish Joulupukki at the Russian-Finnish border. 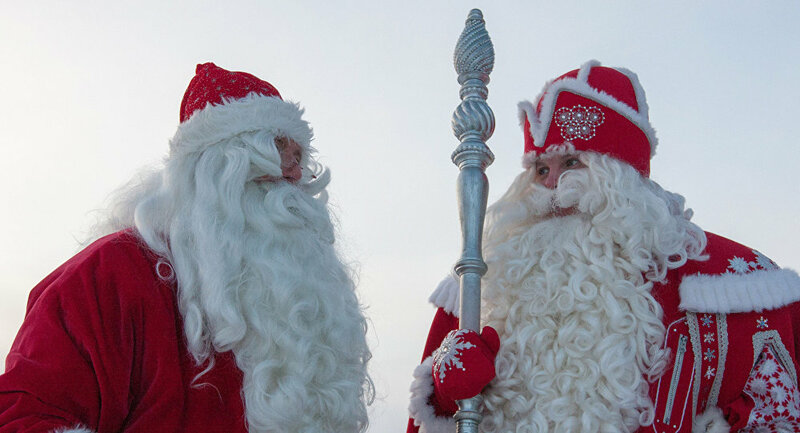 Father Frost is the main fairytale character of Russia's New Year holidays. Father Frost is depicted as an old man in a colored — light blue, blue, red or white — coat with a long white beard, a crook in his hand and felt boots. He rides a trio of horses. He is often accompanied by his granddaughter Snow Maiden at children's New Year parties. Joulupukki in late Finnish tradition is Father Christmas, who presents gifts to children on Christmas Day. In literal translation from the Finnish, the word also means "Christmas Goat." He was often depicted as a straw goat and considered a symbol of Christmas holidays. Joulupukki looks like popular Santa Claus with a white beard in a red coat and cap. In the old days, he was portrayed in a goatskin and sometimes with small horns. Joulupukki has a wife — Muori — who personifies winter. Joulupukki's assistants are gnomes who observe children's behavior over the year, separate Christmas mail and help prepare and pack gifts.